It’s been a decade since New Zealand began resettling refugees from Colombia. 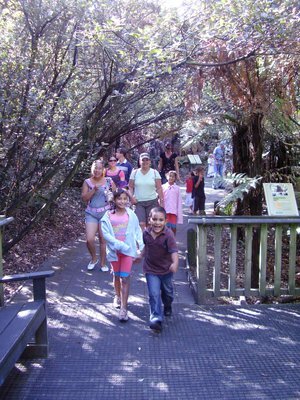 Over the past 10 years we’ve welcomed more than 800 people into communities around New Zealand. Adriana Salazar, with her son Axel (right) and husband Pablo Dickson, was among the first Colombian refugees to arrive in New Zealand. It was an overcast summer’s day in December 2007 when Adriana Salazar stepped off the charter bus with her five-year-old son Axel. After the initial six weeks at the government-run Mangere Refugee Resettlement Centre, the duo was arriving in Hamilton as the first Colombian refugees to be settled in New Zealand. Although excited about her new life in New Zealand, Adriana was full of nerves too. She was a single mother alone in a new country where everything was unfamiliar. 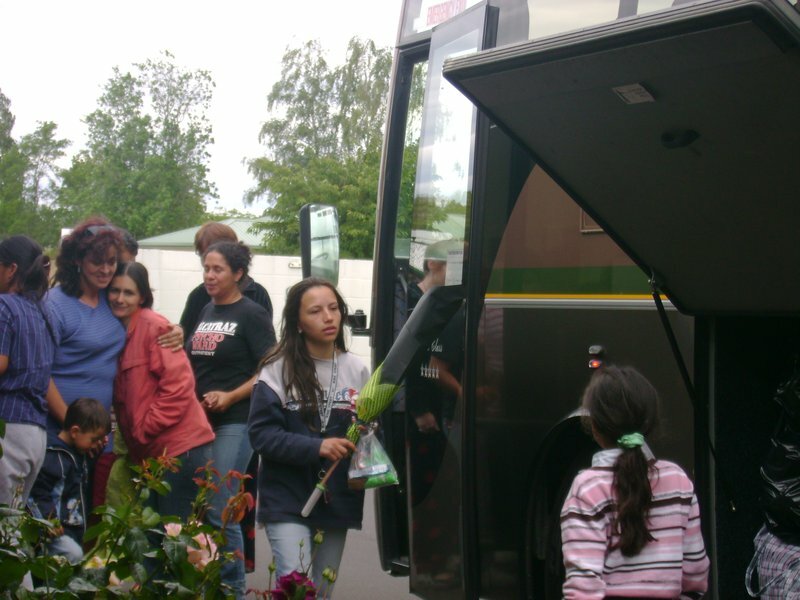 Adriana Salazar (in the red jacket) the day she arrived in Hamilton a decade ago. There were a few hiccups in the beginning which Adriana smiles about now. She recalls one time during her first few months in Hamilton when her refugee support volunteer, Gemma, was teaching her to catch the bus. Gemma was a newcomer to New Zealand too and the two of them got lost, something they managed to laugh about. Adriana is quick to point out that the support she’s received has been invaluable. She remains friends with Gemma and says she continues to receive support from the community and New Zealand Red Cross. Two years after arriving in New Zealand, Adriana successfully applied for a refugee family reunification visa so her parents and two siblings could join her. She says this is what helped her settle properly into her new community and allowed her to actively pursue her goals. “It helped heaps having them here because you get that support and don’t feel alone, especially when you have kids,” she says. So Adriana moved to Auckland and began studying to be a dental technician at AUT. Axel Salazar (front) was just five when he came to New Zealand as a refugee with his mum. Adriana got the result she wanted, becoming a qualified dental technician within six months and then being offered an interview with the Waikato District Health Board (DHB). These days Adriana is a dental assistant team leader at the Waikato DHB. She has just married her long-term partner, Pablo Dickson, and they are about to head off on their honeymoon. Her son Axel is 15 and doing very well at school. Adriana and Axel are just two of more than 800 Colombian refugees who have been resettled in New Zealand since December 2007. Former refugees from Colombia have been warmly welcomed into communities around the country, including Hamilton, Wellington and Nelson, and will soon arrive in Invercargill. They’ve added colour, dancing, culture and skills to their new homes and become an important part of their local communities. An estimated 360,000 Colombians remain living as refugees, mostly in Ecuador, after being forced out of their homes by a civil war which has been raging since the 1960s and displaced millions. You can join our team and form part of the welcoming committee for former refugees in your community. We’re recruiting for refugee support volunteers in seven locations around New Zealand: Auckland, Hamilton, Palmerston North, Wellington, Nelson, Dunedin and Invercargill.